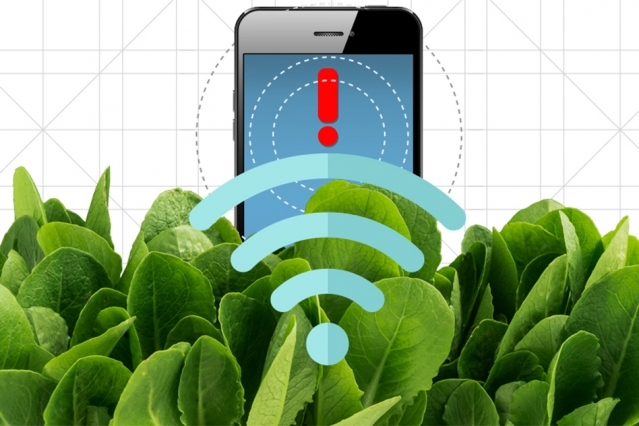 "Spinach is no longer just a superfood: By embedding leaves with carbon nanotubes, MIT engineers have transformed spinach plants into sensors that can detect explosives and wirelessly relay that information to a handheld device similar to a smartphone. This is one of the first demonstrations of engineering electronic systems into plants, an approach that the researchers call plant nanobionics." A Nano solution to the crisis in antibiotic resistance? Supported by 193 nations, the United Nations in a General Assembly meeting in September 2016 declared antibiotic resistance to be "the greatest and most urgent global risk." 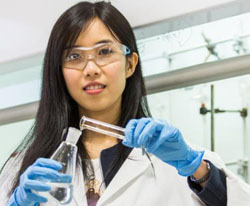 Shu Lam, a PhD student from Malaysia in the Department of Chemical and Biomolecular Engineering at the University of Melbourne in Australia, has helped create antimicrobial agents from nanotechnology that appear able to fight back against SuperBugs and other antibiotic resistant germs that kill hundreds of thousands of people annually. Summary: "This project develops nano-enabled technological solutions to environmental health challenges and identifies mechanisms of nanotoxicity and principles of safe design in close collaboration with Agnes Kane in the Adverse Human Health Impacts of Nanomaterials project as part of the Brown SRP theme of Integrated Biomedical & Engineering Solutions to Regulatory Uncertainty. This integrated approach to nanotechnology applications and safety strives to create new environmental technologies while ensuring their responsible development informed by data on nanomaterial hazard." Summary: "Graphene-family nanomaterials (GFNs) are emerging as commercially important carbon nanomaterials with potential applications in nanoelectronics and energy storage, nanomedicine, nanocomposites, and environmental sensing and remediation." In Switzerland, nanomaterial called graphene can take one photon and make multiple electrons which have the potential of doubling existing conversion rates. Solar panels will get smaller, and areas that have marginal value for solar generation will get a second look as panels improve efficiency. Guide to teaching high school students about nanotechnology and the environment through the framework of groundwater pollution. 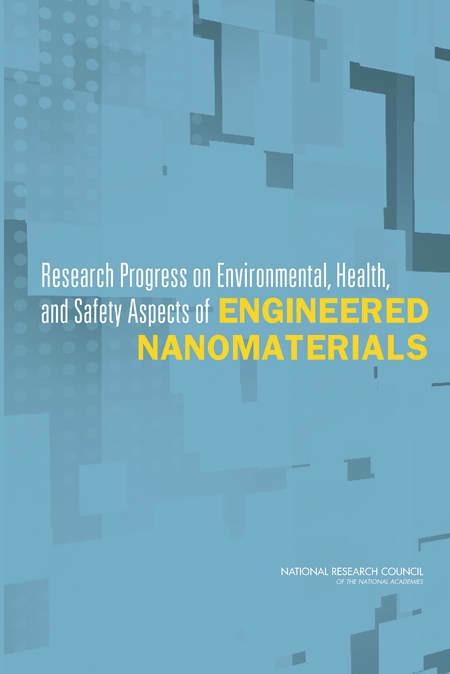 "Despite the increase in funding for research and the rising numbers of peer-reviewed publications over the past decade that address the environmental, health, and safety aspects of engineered nanomaterials (ENMs), uncertainty about the implications of potential exposures of consumers, workers, and ecosystems to these materials persists. Consumers and workers want to know which of these materials they are exposed to and whether the materials can harm them. Industry is concerned about being able to predict with sufficient certainty whether products that it makes and markets will pose any environmental, health or safety issues and what measures should be taken regarding manufacturing practices and worldwide distribution to minimize any potential risk. However, there remains a disconnect between the research that is being carried out and its relevance to and use by decision-makers and regulators to make informed public health and environmental policy and regulatory decisions." A Duke University team has found that nanoparticles called single-walled carbon nanotubes accumulate quickly in the bottom sediments of an experimental wetland setting, an action they say could indirectly damage the aquatic food chain. The results indicate little risk to humans ingesting the particles through drinking water, say scientists at Duke�s Center for the Environmental Implications of Nanotechnology (CEINT). But the researchers warn that, based on their previous research, the tendency for the nanotubes to accumulate in sediment could indirectly damage the aquatic food chain in the long term if the nanoparticles provide �Trojan horse� piggyback rides to other harmful molecules. 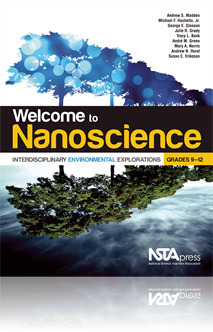 The results appear online in the journal Environmental Science: Nano (2014). "The goal of the Registry is to archive a sufficiently large, accessible, and centralized body of integrated information to enable researchers in gaining knowledge from accumulated data. As computational tools and researchers interact with the information in the central data repository, knowledge will be extracted and used to guide new research and, ultimately, the safe use of nanomaterials." 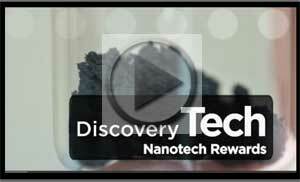 Can Nanotech Save the Gulf? 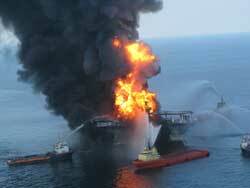 The explosion of Deepwater Horizon, one of BP's massive oil rigs situated about 40 miles from the Louisiana coast, has been unleashing, according to some estimates, 20,000-100,000 barrels of oil daily since it exploded on April 21, 2010. If you ever had the chance to walk along the banks of the Charles River in either Boston or Cambridge, MA, sipping on a cool glass of the opaque, and oftentimes foul smelling water would probably not be your first thought. Seldon Technologies, a small startup company whose headquarters are located in Vermont, claim that their carbon nanotube filter technology can turn a cup of the Charles into the cleanest and best tasting water you've ever had. The objective of this conference is to bring together scientists from academia, industry, government agencies, and non-governmental organizations to present current research findings, focus their respective talents and expertise, and initiate new collaborations in an effort to ensure the safe implementation of nanotechnology. "Bringing together researchers, regulators and industry to discuss the recent advances in the investigations of risks of current and future applications nanotechnology, along with procedures of risk management to maintain the economic and social benefits of the sector." 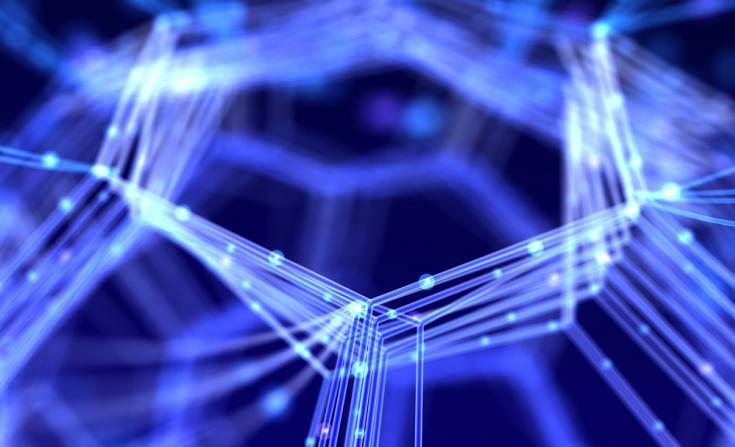 "Steps for Environmentally Safe Implementation of Nanotechnology"
Increasing numbers of commercial, industrial and environmental products and processes are using nano-enabled systems. This 3rd GRC on Environmental Nanotechnology will focus on safe use of these nano-enabled systems, framing discussions around potential "steps" or considerations required. NICOM5 will bring together more than 150 international leaders in the field to discuss the emerging opportunities and future of the use of nanotechnology in construction. The meeting aims at bringing together researchers, specialists, professors and students to exchange ideas and present their latest works on advances in nanotechnology and key environmental issues relating to water/wastewater treatment and water reuse. This GRC will offer a peek at the horizon of emerging innovations and attempt to identify potential environmental issues that must be addressed as we move into the future. The conference attracts top scientists from around the world to speak, listen, and freely exchange ideas. > Greener Nano 2010: 5th Annual Greener Nanoscience Conference and Program Review: "Reducing Principles to Practice"
The theme of the conference is 'Closing the gaps in nanosafety', and the program will include keynote speakers, thematic sessions, oral sessions, and poster sessions. In addition there will be a special initiative for early career researchers including an Early Career Researcher Award. The aim of the NanOEH Conference 2017 is to provide a platform for presentation of an overview of the current knowledge on nanosafety in the working environment as well as in the general environment and of the current state of the art for strategies for exposure assessment, hazard evaluation and risk assessment. 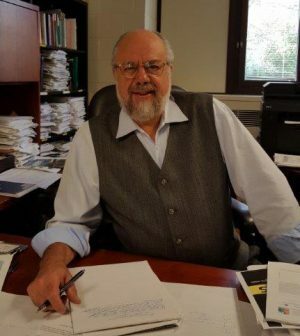 Paul A. Schulte, Ph.D, Director, Education and Information Division and Co-Manager of the Nanotechnology Research Center, National Institute for Occupational Safety and Health, Cincinnati, OH USA. This conference is to bring together scientific experts from academia, industry, and government agencies from around the world to present and discuss current research findings on the theme. The SNO Conference emphasizes not only the environmental aspects of sustainability but also the societal and economic sustainability issues. The conference program will address the topics below from both a fundamental and applied viewpoint. Food/agricultural systems, Energy systems, Air/Water systems, Industry/Manufacturing (in general, not just nanomanufacturing) systems, Solid Waste (especially E-Waste) management, Environmental/Biological systems, Health/medical systems, Urban systems, Education systems, Social systems and governance. This year's SNO conference sessions will be organized around selected "systems", e.g. air-water systems. Sessions will be populated with talks on applications, effects and implications, analytical methods, and lifecycle aspects of nanomaterials within each system. The aims are to identify where nanomaterials and nanotechnology can improve the sustainability of each system and to foster integration of knowledge between applications and implications within each system. Food/agricultural, Energy, Air/Water, Industry/Manufacturing (in general, not just nanomanufacturing), Solid Waste (especially E-Waste) management, Environmental/Biological, Health/medical, Urban, Education, and Social systems and governance. The objective of this conference is to bring together scientific experts from academia, industry, and government agencies from around the world to present and discuss current research findings on the subject of nanotechnology and sustainability. The SNO Conference emphasizes not only the environmental aspects of sustainability but also the societal and economic sustainability issues. The conference will also foster new collaborations between academic and industrial participants. "From nanotechnologies to emerging technologies: towards a global responsibility"
The aim of this international conference is to initiate thought-provoking discussion on the sustainable and responsible development of nanotechnology and other emerging technologies. The conference will explore the following themes within an international and multidisciplinary framework at the plenary sessions. "Nanotechnology is the understanding and control of matter at dimensions between approximately 1 and 100 nanometers (nm), where unique phenomena enable novel applications not feasible when working with bulk materials or even with single atoms or molecules. A nanometer is one-billionth of a meter. A sheet of paper is about 100,000 nanometers thick; a single gold atom is about a third of a nanometer in diameter." "Researchers seeking to understand the fundamentals of properties at the nanoscale call their work nanoscience; those focused on effective use of the properties call their work nanoengineering."